On Monday everyone always asks, "What did you do this weekend?" Well, this is my answer in visual form. I sort of look at my blog as a diary of my style, but also my life and what I do on a daily basis. I hope that I can look back at my posts and fondly remember salient aspects of my life, therefore this post is not about fashion or style, but a view of my weekend. These pictures are connected in no way whatsoever although they do feature three things I love: old houses, fat dogs, and rich chocolate cake! This is a house I stumbled across on my way to my local library. 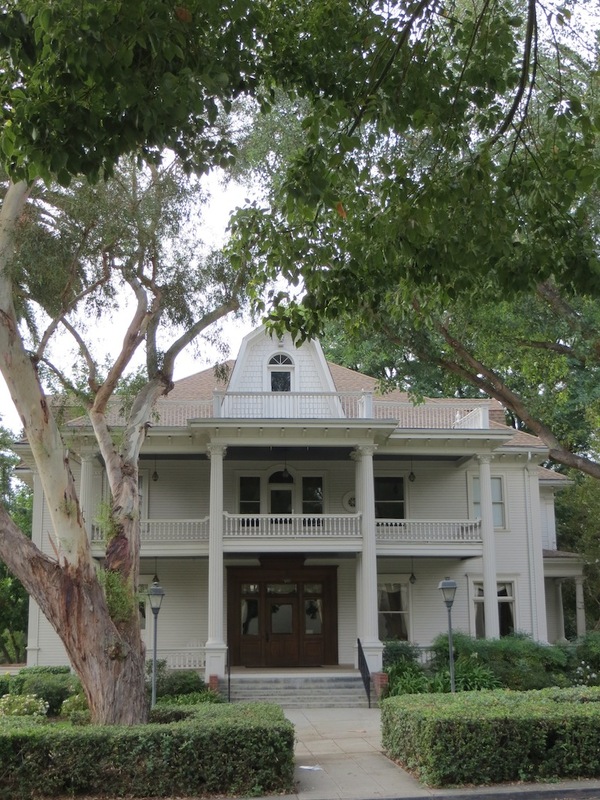 This is embarrassing to say, but I sort of got lost going to the library and went down the wrong road, thus discovering that this house was just a block away from my intended destination. I was instantly drawn to the Greek Revival style of the house which seemed a bit out of place amongst the sea of craftsman style houses in this particular area. I parked at the library (fearful of a ticket as parking is library only and I was taking a sojourn) and then went on a little walking tour of the area. I even discovered a small museum which I never knew existed across the street. I think some of the best things in life come as a result of random accidents! These pictures are of the Basset Hound Club of Southern California's Annual Picnic which we went to this Sunday. You may ask, "Why are you at a basset hound picnic when you own a English Springer Spaniel?" Well, the answer is that I am in love with Basset Hounds. They are super cute as you can see from the pictures. 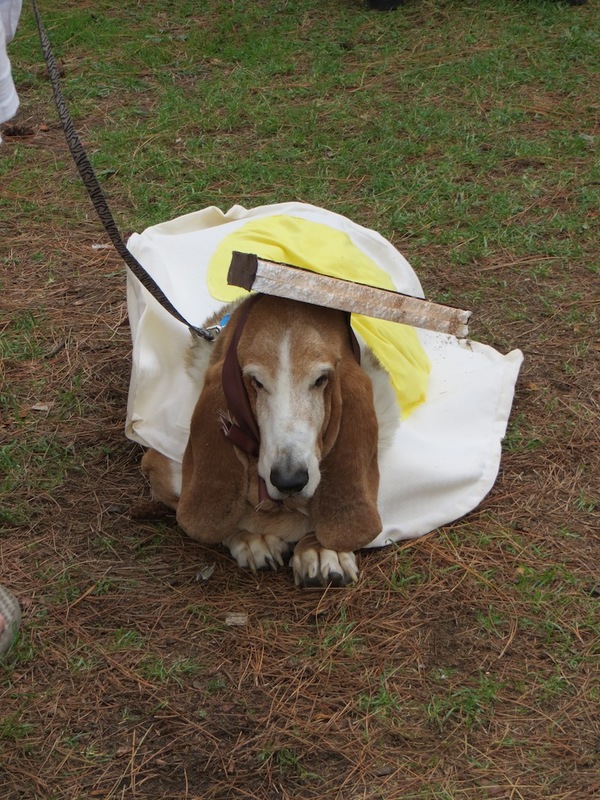 They also look great in costumes, such as the dog in the egg and toast costume featured above. The only problem with the breed is the excessive drool, which I really wouldn't want all over my Louboutins, if you know what I mean. 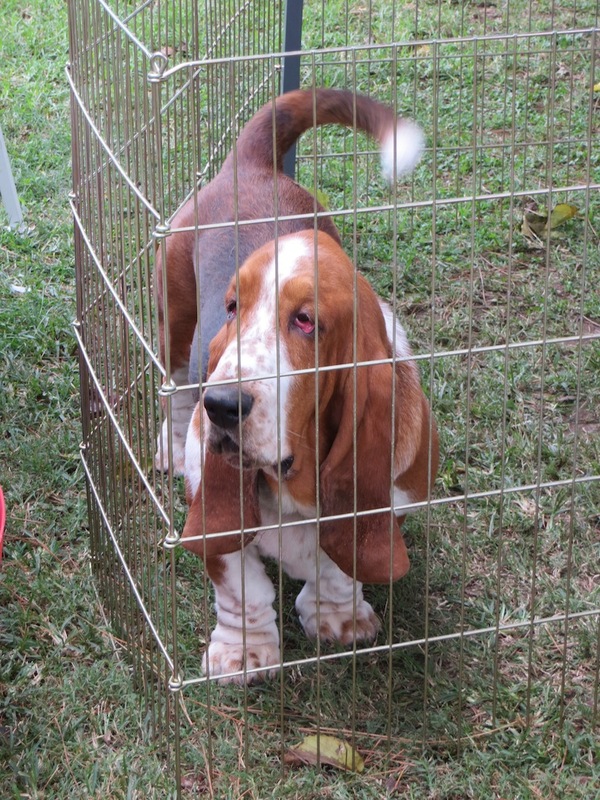 We actually took our dog William to see the basset hounds. He wasn't quite sure what to think of them! Also on Sunday, I made dinner and dessert for my father in law's birthday. Here is a strange fact: my husband's dad and my dad were born on the exact same day and year! 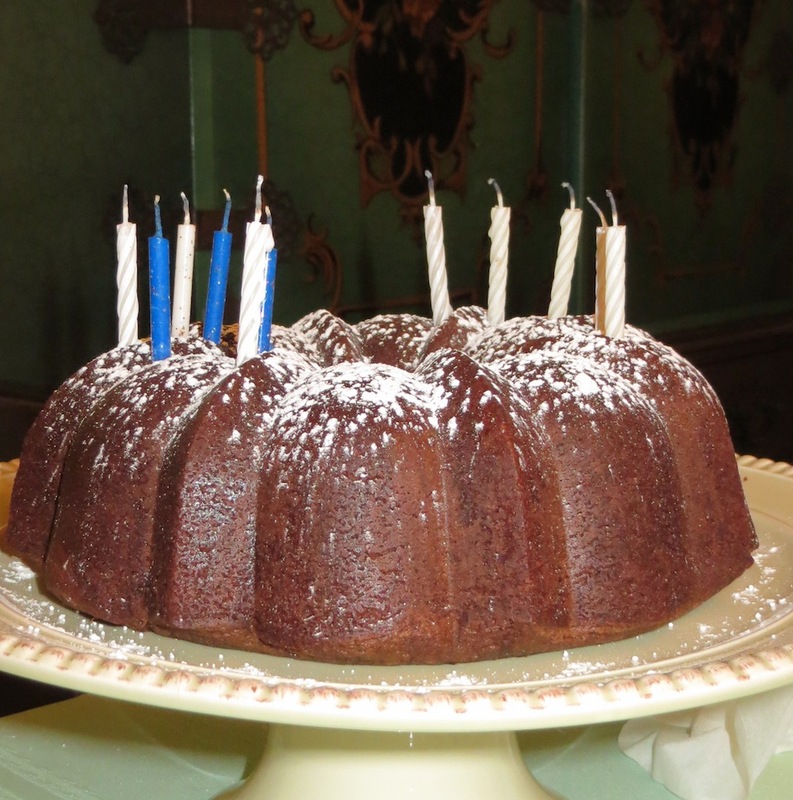 I made this Bourbon chocolate bundt cake because my father in law and I share two things in common: our love of chocolate and our love at shopping at the 99 Cent Only Store. The ingredients for this cake didn't come from the 99 Cent Only Store, but the cake was so good! In fact, I now want to open my own cake/pastry shop. I am providing the recipe for the cake which I found through a fellow blogger and is adapted from the New York Times. Did I mention that this cake has Bourbon? I am now officially addicted to cooking/baking with Bourbon! Preheat oven to 325°F. Grease and flour a 10-cup-capacity bundt pan (or two 8- or 9-inch loaf pans). In a heatproof bowl set over – but not touching – a saucepan of simmering water, melt the chocolate until just smooth, stirring occasionally. Let cool. Put espresso and cocoa powders in a 2-cup (or larger) glass measuring cup. Add enough boiling water to come up to the 1 cup measuring line. Stir until the powders dissolve. Add the Bourbon and salt. Let cool. Using an electric mixer, beat the butter until fluffy. Add the sugar, and beat until well combined. Add the eggs one at a time, beating well after each addition. Beat in the vanilla extract, baking soda and melted chocolate, scraping down the sides of the bowl with a rubber spatula. Transfer the cake, still in its pan, to a rack. Unmold after 15 minutes. Brush with copious amounts of Bourbon. Cool completely before serving, garnished with confectioners’ sugar, if you like. Note: This cake tastes even better on the second day, when the intensity of the alcohol mellows a little bit. Thank you for the link! I am going to have to check them out now.